If you’ve ever been to a New Tech Northwest event and experienced our vibrant community, then you already know that this is going to be a great job fair. Job fair ticket time slots indicate what time you can arrive. No matter which slot you sign up for, you can stay until the END of the event. 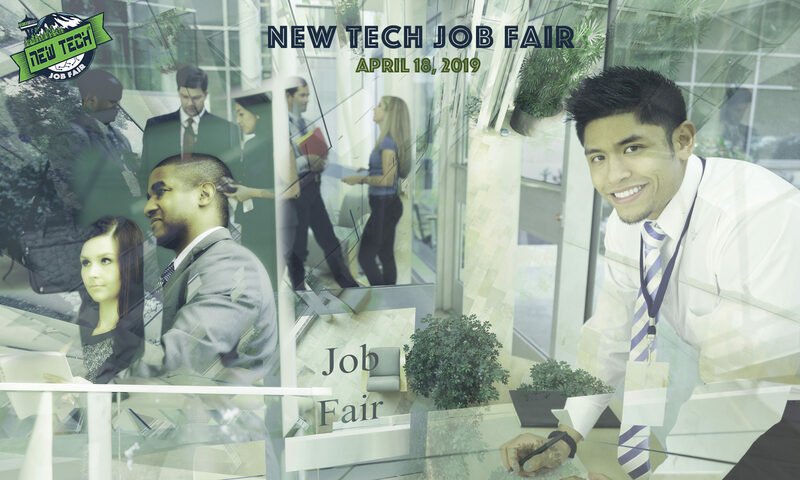 This Job Fair event is held in the evening specifically for all job seekers, including senior-level people, to attend and anyone currently working to be able to attend and connect with new job opportunities! Participating companies from prior job fairs have included T-Mobile, Google, Pokemon, Nintendo, Hulu, Getty Images, Zulily, Apptio, Avalara, Oracle, Mercedes-Benz North America R&D, Redfin, Vancouver (BC) Economic Commission, ebay, Quantum, Affirma, BECU, Prime8 Consulting, Amazon Alexa, Microsoft, The US Army, Fanwide, Netrush, Bold IQ, and others. See a sample of the open job roles here to help you connect with people who can help you to find your next great career opportunity. More job roles will be added as new employers are added. 4:00 PM – Registration Check-in begins – Event Opens. Please come to registration at the hour you sign up for to ensure a flow of everyone getting in, without having a long wait in line. You’ll meet career fair employers to give your resume to. There will also be 15-minute professional resume and LinkedIn review sessions with recruiters. If you’re interested in this, please register below and schedule a good time for you. This is a highly-attended workshop, so sign up early! 7:00 PM – Event Closes. To get advance information as we add it, please join the mailing list! When you attend a New Tech event you agree to abide by our code of conduct policy. Note: The Event Agenda is subject to change. Want to have an employer recruiting table at this event? Our primary goal is to help good people find great jobs with amazing Washington companies - and make a few more friends along the way.